SpotX For Change is SpotX’s Community Engagement program which officially launched in 2015 as a way to formalize our culture of giving back. 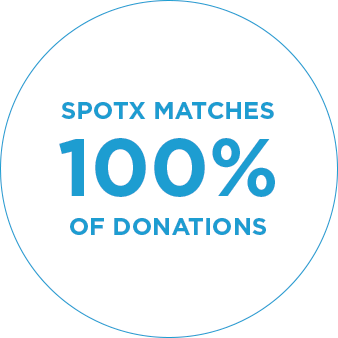 In addition to sponsoring volunteer opportunities for employees, SpotX for Change includes a Gift Matching program that matches 100% of the financial donations our employees make each year, expanding our impact across the globe to all of the organizations that SpotXers are involved with and passionate about. 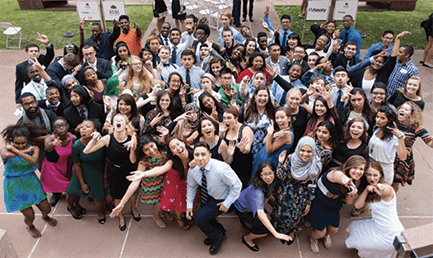 Greenhouse Scholars is an educational nonprofit that provides professional, personal, and financial support throughout college for students who have overcome great challenges in their lives. Scholars have access to resources including professional networking, peer support, mentorship, internships and an annual Summer Symposium. 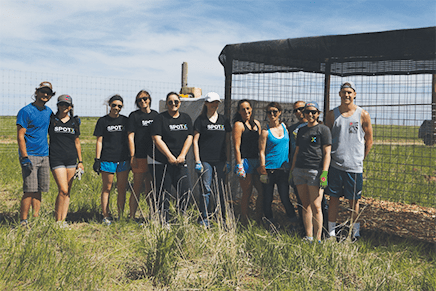 Colorado is a great place to get close to nature, and SpotX team members enjoy the wilderness right here in our backyard. However, when it comes to wildlife, there is such a thing as too close. Wild animals need things from their environment that can’t be reproduced in a backyard pen or concrete enclosure. Homelessness is a persisting social experience in many American cities and SpotX was grateful for the opportunity to step in and do something for homeless citizens in our community. Volunteering is a powerful way for coworkers to find common interests and build relationships by working together to make a difference in the lives of others. That’s one of the many reasons why a few SpotXers spent their Saturday volunteering with Amp The Cause. As part of the event, teams of volunteers dispersed to more than 50 sites to participate in various facility improvement projects, including landscaping, indoor and outdoor painting, general cleaning and other maintenance. A group of SpotXers spent the afternoon volunteering at The Children’s Hospital. 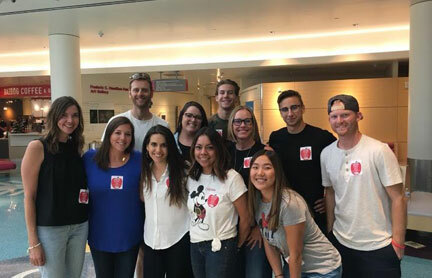 Equipped with an abundance of colored markers, paper and scissors, we got our creative juices flowin’ and helped host a “craft party” for the hospital’s patients and their families. We are thankful for the incredible work that The Children’s Hospital provides our Denver community and were grateful to play a small part in helping make a few kiddos’ days a bit brighter. To best prepare our children for their technology-fueled futures, we must create a foundation and basic understanding of not just how to use skills in the world around them, but how their world works. 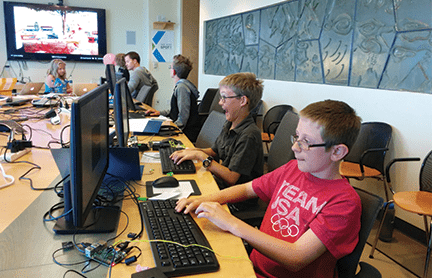 That outlook led two SpotXers to develop a 4-week coding course for kids in our local community, teaching them how fun and inspiring computers can be. dedication of our team is key to building a healthy company culture. That’s why, we celebrated SpotXers’ work anniversaries by volunteering in our local community. 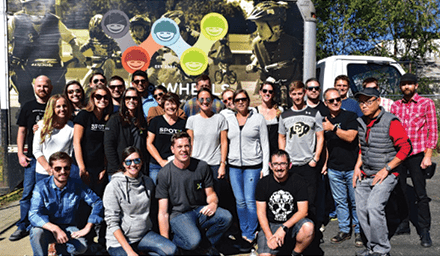 SpotX teamed up with Wish for Wheels and the Boys and Girls Club of Denver to donate 25 new bicycles and helmets to children in a low-income community.